We retired the Spectrum News Theme in April 2015 This means that the theme will still work for blogs that are already using the theme. We will be removing the theme completely in July 2016. At that point your blog will be set to use another theme, probably TwentyFourteen. This will change or break some functionality. We would advise that you change your theme before then. Here are some notes on moving a Spectrum New blog to TwentyFourteen. 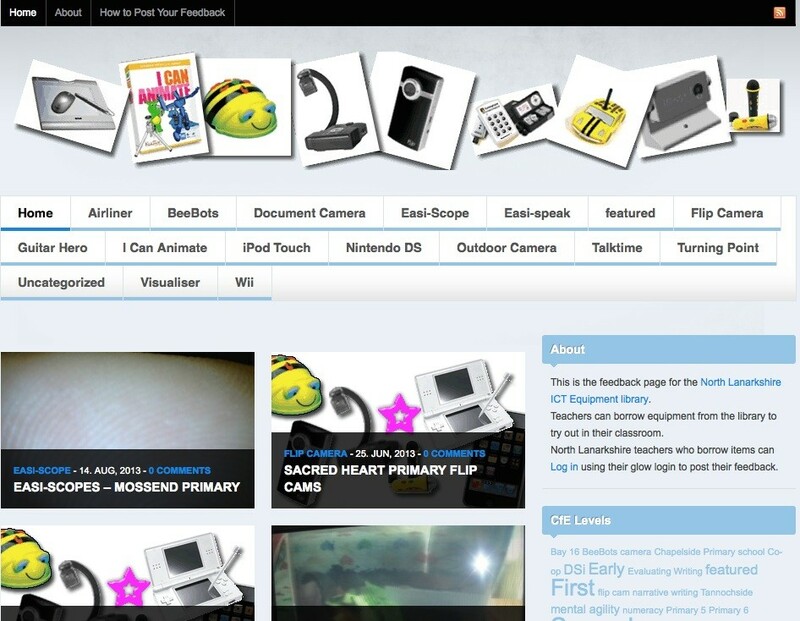 The Site is ICT Hardware Loans | Feedback on ICT Hardware in the classroom. This blog was used to share feedback on using small items of hardware borrowed from the North Lanarkshire Computer Centre between 2010 and 2013. It consists of 108 posts. Thumbnails for the most recent posts. 2 Menus: one for the 3 pages and the main menu being a list of categories. The Featured Posts Slider was removed when the upgrade to WordPress stopped it working. We took a screenshot of the blog for reference ( How to take a screenshot). Widgets are not preserved when changing theme, we took screenshots of these and in the Widget Area of the Dashboard dragged all of the widgets to the Inactive Widgets Area. This should preserve them and they can be dragged into place, keeping their content, after switching themes. We went into the Spectrum Settings page and check the menus, again you might like to take screenshots as a reminder. Download any footer images that have been set in the theme. We then went into Appearance section of the Dashboard and switched themes. Remember at this point you cannot switch back to Spectrum News. As the original blog had all of the Widgets on the right we decided to stick with this layout. We decided to simplify the menus a little, Keeping the Home, About and How to Post your Feedback and adding one menu for All the Categories (Equipment). The Categories took up a lot of room in the old blog. Select all 3 pages from the left and Add to menu. Set the location of the menu to Top Primary Menu and Save Menu. Twentyfourteen does not match Spectrum for Sliders and thumbnail links to posts. You can use the Featured Content to display a set of sticky posts as a Grid or a Slider. You can see examples: Featured Content in 2014 Grid and Featured Content in 2014 Slider. 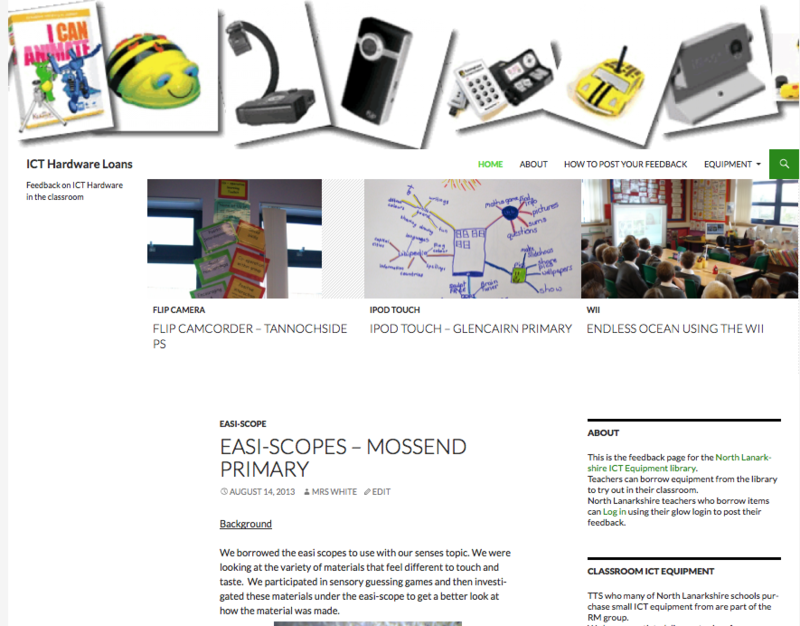 For our blog we decided on using a Grid, we made 3 posts sticky and added a featured images to these posts. In the customiser we made sure featured content was set to Grid. The TwentyFourteen theme is aligned left, Spectrum New is Centered. We may have used the woo themes twitter widget. In jetpack settings activated the CSS and Extra Widgets functionality. Add the image widget in the footer widget area. Optionally add a twitter widget, more info linked from the jetpack blog.